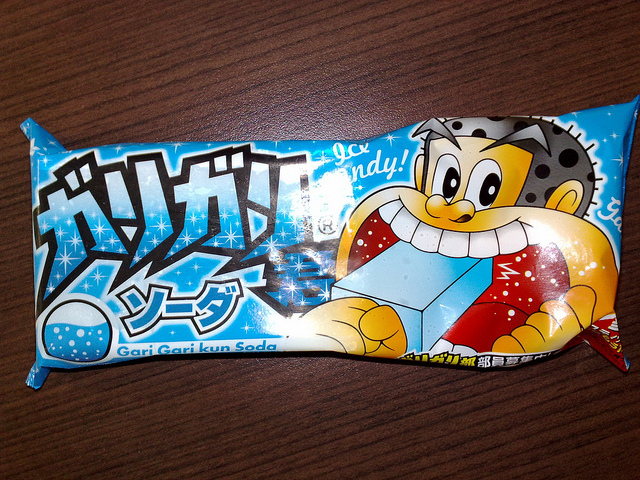 “Garigari-kun” soda flavour is one of the most popular and well-loved ice lollies in Japan regardless of gender and generation. 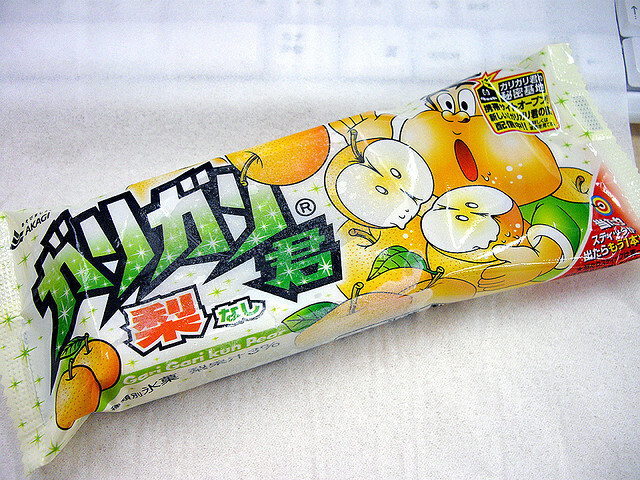 But it seems Garigari-kun ice lolly will be introducing new flavour, corn potage soup flavour early next month. According to the article, new corn potage flavour is mainly made of corn potage flavoured shaved ice, which is decorated with real sweet cornn, produced in Hokkaido pref.! Major difference from conventional (?) refreshing flavoured Garigar-kun is that the new flavour uses lactic ice, so that it can recreate rich taste of corn potage. But as you know,corn potage soup is warm soup, so some conservative Garigari-kun fans seem are strongly opposed to the idea of corn potage soup flavour; they still want Garigari-kun to be nice and refreshing rather than being adventurous. On the other side of the argument,of course, there are some in favour of the corn potage ice lolly, saying that it must be nice, just like vichyssoise. Ah, now I can’t wait till Septemper!